“But Patra,” I hear you saying “no-one sabotages themself!” Ohh ~ but yes, people do quite regularly undermine their own job search, often without thinking about it. Far too many military are doing so. Before you say ‘not me’, look at these common ways to lose your chance for the job you want — plus ways to be smarter. Maybe you went to a transition program and they told you to build your network. Perhaps you read an article or group discussion about learning more about the corporate work you think you are interested in and it recommended reaching out to recruiters or doing informational interviews. And so you did. You sent out connection requests to a lot of people or a few. You asked for recruiter contacts. You joined one or more LinkedIn groups. You followed some companies on LinkedIn, Facebook, or Twitter. And then you were done. Many people are willing to help military in their transition. Some are veterans and many are not. Perhaps someone recommended you contact a specific person. Maybe you read something by that person which made you think they had information that might help you. Maybe you heard them talk at a job fair or career event or seminar. So you asked to connect. (I am hoping you were smart enough to tell the person why!) And the person said yes. Maybe the person asked what they could do to help, maybe not. But the door was opened. And you never walked through. You did not ask any questions. Or you asked one question and then went silent. The LinkedIn group you joined is full of activity but you have not asked any questions or commented on anything or tried to connect with anyone there directly. The companies or recruiters you followed and contacted have never heard from you again. Help is available. But you have to be pro-active. You have to ask specific questions and build the relationship so you can get the information and assistance you need. You need to follow through! Your resume and LinkedIn or other social media profiles show a variety of job interests and skills. Your past job history does too. You want employers to know you can do a lot, in hopes that you will find a job or in fear you will miss out on one. But private sector employers see this and ignore you. They want people who are committed to a specific career, who demonstrate their professionalism with achievements related to that career, and who will contribute in jobs which the employer needs to fill. They see lack of focus, lack of commitment in what you see as versatility. Or they just miss you entirely because their search used keywords common to the job they want to fill and you do not have those. Focus on one or two fields, do your homework, and create marketing materials that tailor all your experience into achievements that support the career you want. Sure, you may end up with two different resumes but you also will end up with an actual job. 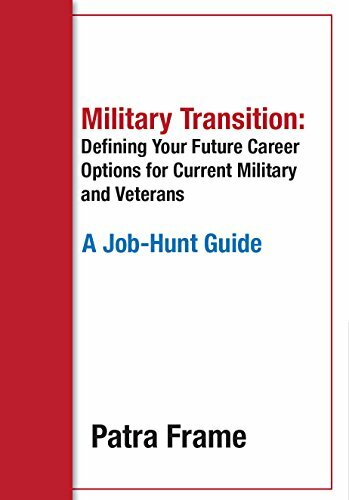 Many private sector organizations and the federal government have special programs to hire military in transition. These programs place veterans into needed jobs, both new and existing positions. Every job has specific requirements. You cannot just apply and state your military titles and responsibilities and be hired for most of them. You need to assess your qualifications to their requirements first. Then you need to demonstrate your relevant achievements in terms the employer understands. Of course, there are some government contractors which do have jobs which are exactly or nearly the same as a military job. In those cases, you probably can just show your military achievements in military terms and be hired. Although even here you need to be able to do some translation as so often the terminology of one service is not the same as that of another. Hence the Army vet who is the project manager may not fully understand the Navy vet’s resume or interview answers from the Marine. Plus, these jobs are but a fraction of all those available. Are you really interested in only these jobs? 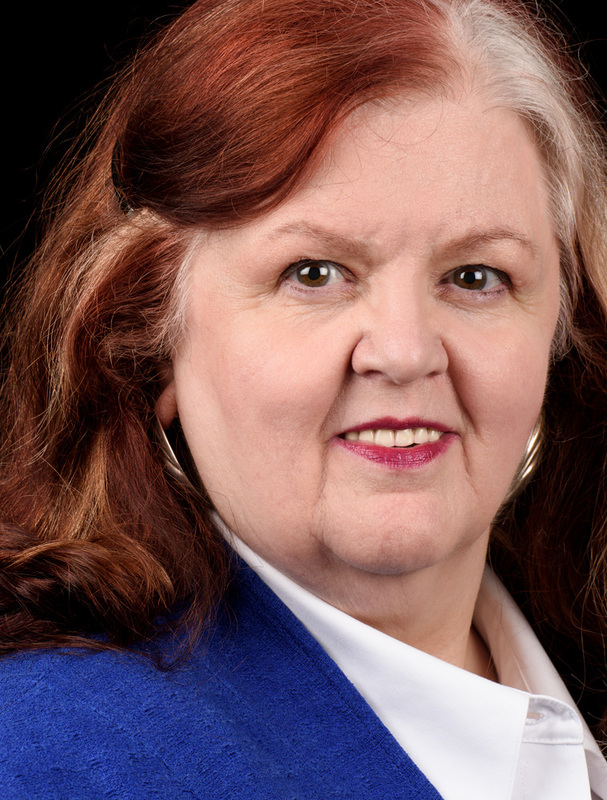 Want to reap the benefits of veteran hiring programs? Figure out what you want to do next. Research the qualifications for those jobs and match them to your qualifications. Fill in the missing qualifications, if needed, with more education or training or certifications. Then be sure your resume and LinkedIn profile demonstrate your relevant achievements and training for those jobs. Connect with the veteran hiring programs at your target companies and ask for more information on jobs which interest you and ways you can talk to people in your field there. Veteran hiring programs have been responsible for hiring hundreds of thousands of transitioning military into corporate America the past several years. The Federal government has filled more than 44% of its full-time open jobs with transitioning military and recent veterans too – and many positions only have veterans on their ‘qualified’ list because of the high number of vets who apply. Yet many veterans complain that all these programs are a sham because they did not immediately get offers via one or because they felt no-one understood their experience. No business spends money on extra people and management time just so they can say that they are veteran-friendly. Sure, some companies have much bigger efforts than others. And some are not hiring in your preferred field. But a little research on who does what along with learning what you have to offer is part of the job search process you need to understand. When you are looking for a job, check out the employers who may have your type of work. Learn if they have a veteran hiring program. If so, connect with the company and their recruiters via LinkedIn and Twitter. Seek them out at career fairs or trade shows or events and introduce yourself. Follow-up! Many of the veteran hiring program managers and recruiters I know say that if one in twenty (five percent!) 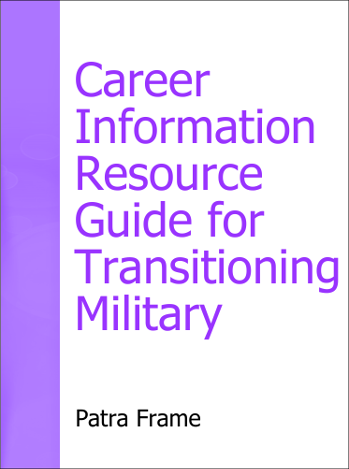 transitioning military they meet follows-up with an email or call, it is a pleasant surprise. I facilitate panels of veteran recruiters and program managers regularly and see how few military in attendance come up to ask questions or even just to ask the participants for a business card at the end. And don’t just send a resume – ask questions about the organization, learn whatever you can to help you understand their needs and their hiring process. You are frustrated with your job search, unhappy with your transition. Seems so easy to say lots of negative things on LinkedIn groups, on Twitter, on whatever your favorite social media are. Not thinking. Just frustrated. Sadly for you, social media is not the local bar – your comments are online forever. Recruiters and hiring managers look at social media all the time. I am recruiting for an X and I get your resume directly or from a search but your name sounds familiar. And then I remember that you are always posting what a crock veteran hiring programs are and how fake companies’ veterans programs are. Do I even bother to call you when I think you might be a malcontent and I have a lot of other resumes? I am hiring for an X and I get your resume from my recruiter. I do a quick search and find your comments about how companies only pretend for marketing purposes to hire veterans, how no-one cares about veterans. Do I even bother to contact you when I think you are angry or an injustice collector and may be a problem, a legal risk, or will say negative things about me or my company? No-one is likely to note one error in judgement on social media, if only because they are common. But a pattern can really hurt you. Ask all the job search and employment questions you want online. But ask in a tone of seeking information and help. Keep your comments about the unfairness, the stupidity, the bad stuff for things you say, in person, to a trusted advisor. Almost everyone, no matter what their civilian or military experience, finds job search a difficult process. It is filled with emotion and rejection and fear and hope – on both sides. You can do this! You learned how to succeed and survive in the military and you will in your transition if you put the time and effort in to learn how to be a private sector success.